PewDiePie aka Felix Kjellberg, the world’s biggest independent video content creator with 93 million subscribers on his YouTube channel, has announced that from now on he will “exclusively” be streaming on DLive, a decentralized blockchain-based streaming platform built on Lino Network. 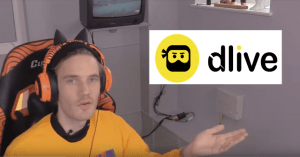 However, financial and other terms of PewDiePie’s deal with DLive and Lino were not disclosed and it’s unclear for how long this partnership will last. Also, the partnership doesn't mean that the content creator will abandon the biggest channel on YouTube, as the agreement seems to touch his live streams only. The Lino Network is a decentralized video content distribution system which focuses on fair compensation for content creators. DLive is the first dapp (decentralized application) built on top of the Lino blockchain. 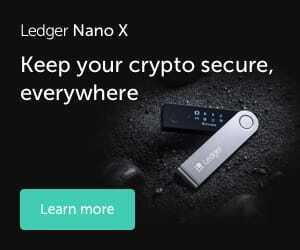 It also has a native cryptocurrency called Lino points (LINO). LINO is not listed on any cryptocurrency exchanges but can be purchased via DLive.tv website and DLive mobile dapps. Each LINO point is worth USD 0.012. The tokens can be earned by creating, sharing, and leaving comments on the platform, as well as by running nodes to host content. Essentially, the platform works in a similar way like Steem and the dapps built on top of its blockchain. “Personally, I think it’s really cool to have a creator-based website actually putting creators first. I’m really excited about DLive, and I’m really excited to finally be live-streaming again,” said Felix Kjellberg in the video announcement. Previously, the biggest YouTuber used to make live streams on YouTube. Now, DLive looks to take on YouTube, as well as other popular video streaming services such as Twitch, Ustream, and Periscope. As of now, it boasts of 3 million monthly active users and 35,000 active streamers. Other streamers and content creators may also find DLive hard to resist, as it shares 90.1% of its revenue with creators. The remaining 9.9% is awarded to the network contributors. At least for now, the platform is not taking any cut of the creators’ profits. “We’ve contributed for years and witnessed traditional platforms grow from their infancies into billion-dollar companies. However, what have we received in return? Higher monetization bars, unfair content promotion, and fewer earnings because of increased platform fees,” writes Charles Wayn, the CEO of DLive. It is estimated, that blockchain, cryptocurrencies, and social media might be a good match and could solve many issues surrounding media platforms, censorship, and content creation. Just recently, the tipping app Tippin had become a hit on crypto Twitter, Wuabit announced a crypto wallet for WhatsApp, and popular South Korean chat app KakaoTalk management is contemplating a similar integration, too. Meanwhile, the social media giant Facebook reportedly is also looking to launch its own stablecoin. Lino Network was founded in July 2017 and raised USD 20 million in venture capital. The network is powered by the Cosmos (ATOM) technology. PewDiePie will kick off his first official DLive stream on coming Sunday, April 14, at 1 PM ET.